The technical solution basis is the microprocessor, which performs all major functions. 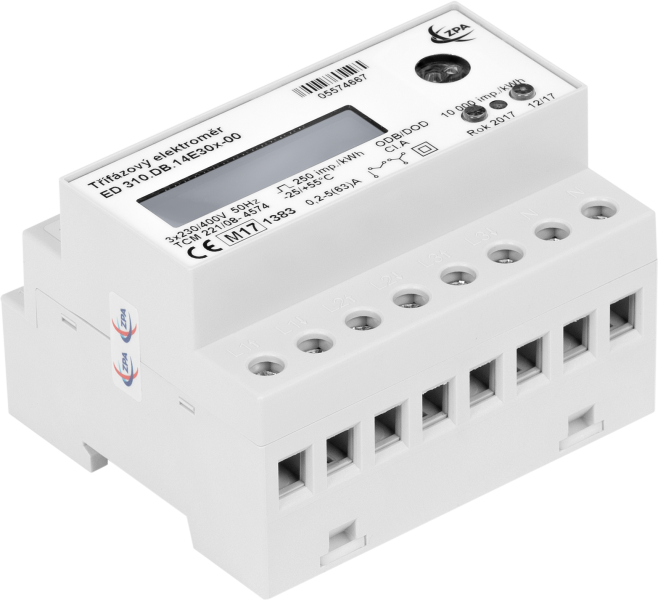 It digitalizes analogue current and voltage signals; performs calculations, operates the display, senses tariff inputs, communicates via the opto-interface, generates IR and S0 impulses, logs selected values and data as well as adapts the ED310 properties to customer requirements and needs. The measuring system also enables measurement in the occurrence of DC and harmonic components in the measured voltage and current circuit within the whole measuring range of the ED310. Operating time, number of drop outs, time elapsed after current and power maxima resetting.